I am so excited, I just learned from the Q'Arts blog that my quilt "Maternal Love" from the 2007 calendar is in the opening scenes from Quilting Arts T.V. And I will receive credit on the DVDs that will be out soon. This is a great New Years present! Thank you, Pokey! 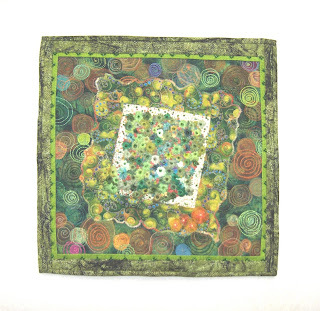 Please check out the Quilting Arts blog! I saw it too. very cool. I checked local TV listings & PBS from Buffalo will be showing Quilting Arts TV. starts Jan 9/08. set your VCR's! Fantastic! Now, if they are smart, they will get YOU on there!